At our Annual Lecture in London on 6 March the Centre will be launching a new report looking at measuring wellbeing inequalities across Britain. 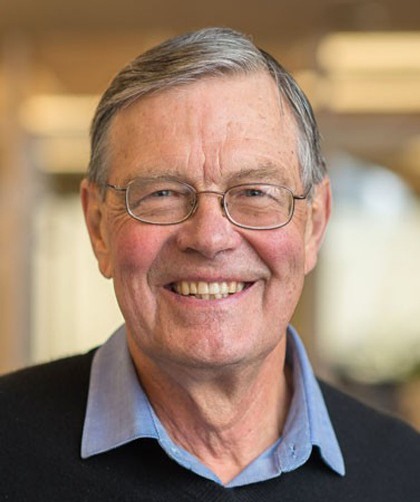 Speaking at the lecture is Professor John Helliwell, a leading happiness economist and proponent of wellbeing inequalities. Here he sets out why wellbeing inequality can help us focus resources and see a more complete picture than other measures alone. Inequality in wellbeing and its impact on our lives is an area of policy that doesn’t get much air time in the UK. Although the idea of looking beyond income alone as a measure of local and national progress has taken root, there is still a way to go until we look at social justice through a wellbeing lens. This is a missed opportunity, as it can provide a broader and more appropriate measure than than income inequality alone. Why is inequality in wellbeing important? 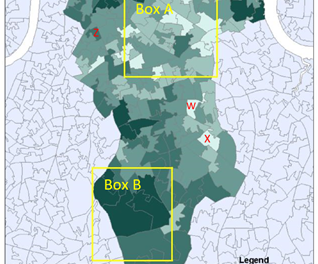 Focussing on averages can hide important underlying variation within and between population groups, places or regions. Differences in wellbeing show the gap between those who feel their lives are progressing well and those who feel they are languishing. They can show differences between groups, e.g. between females and males; those in and out of work; between areas. They can also show differences in wellbeing within a certain group. For example, within a local authority what are the factors that define those who feel they are doing well compared to those who are struggling? When we make comparisons over time, increases in wellbeing averages may be entirely due those who already have high levels of wellbeing getting happier. This leaves those at the low end of the distribution unaffected, or possibly even worse off. We need to focus resources where they will make the biggest difference, which is where a better understanding of inequalities in wellbeing can help. 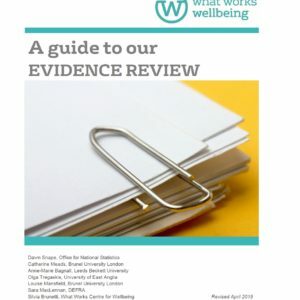 Research due to be published by the What Works Centre for Wellbeing on the 6 March will show how inequalities in our wellbeing vary across local authorities, and in which authorities there are greater wellbeing ‘penalities’, such as having lower levels of education. What might be the likely sources of wellbeing inequality? Previous research carried out by the New Economic Foundation (NEF) – one of the What Works Centre’s partners – has found unemployment rates to be a strong predictor of wellbeing inequality in a country. Higher health inequalities have been associated with higher wellbeing inequalities. Trust may also be a contributing factor. Research I carried out with Haifang Huang and Shun Wang shows that living in a high-trust environment makes people more resilient to adversity. Being subject to discrimination, ill-health or unemployment, although always damaging to subjective wellbeing, is much less damaging to those living in trustworthy environments. These results suggest a fresh set of links between trust and inequality. Individuals who are subject to discrimination, ill-health or unemployment are typically concentrated towards the lower end of any national distribution of happiness. Thus the resilience-increasing feature of social trust reduces well-being inequality by channeling the largest benefits to those at the low end of the well-being distribution. The nub of the challenge for policy-makers is: what next? 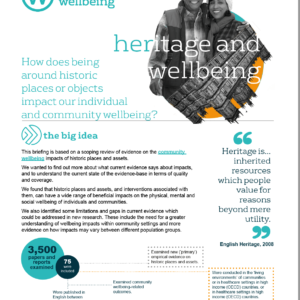 What are the most important drivers and consequences of wellbeing inequalities? How can these measurements and indicators and the emerging data on wellbeing inequalities translate into meaningful actions? And where are the evidence gaps that could bring forward our understanding? I’m looking forward to tackling the ‘what next’ with those in the UK who are at the forefront of researching, implementing and measuring wellbeing inequalities at the Centre’s Annual Lecture on 6 March. 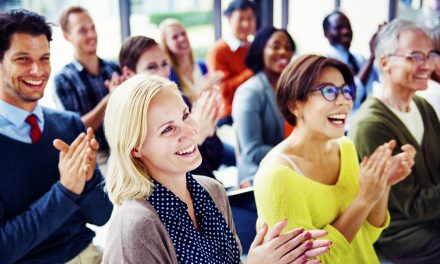 PreviousRetirement and wellbeing: what works? Can there be ‘common currency’ to measure wellbeing?